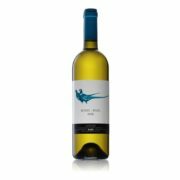 Astarte has a vibrant, straw-yellow colour with a pale green rim; intense aromas of tropical and citrus fruits with hints of flowers; and a fresh citrus taste with a pleasantly acidic finish. Cortese. Complex, elegant bouquet, hints of grapefruit, anise and freshly-cut hay. A surprising development for 4 to 5 years.